Nowadays, in our industrialized and urbanized world, environmental issues and ecology became exceptionally important. Therefore, any actions by locals in this field should be highly respectable. We came to see that there‘s a number of people and organisations who are genuinely interested in, or are already implementing environmental practises assigned to locals and mainly youth. Unfortunately, it’s also visible that in some cases they do not get enough of support or guidance that would allow them to run their projects at their fullest potential. 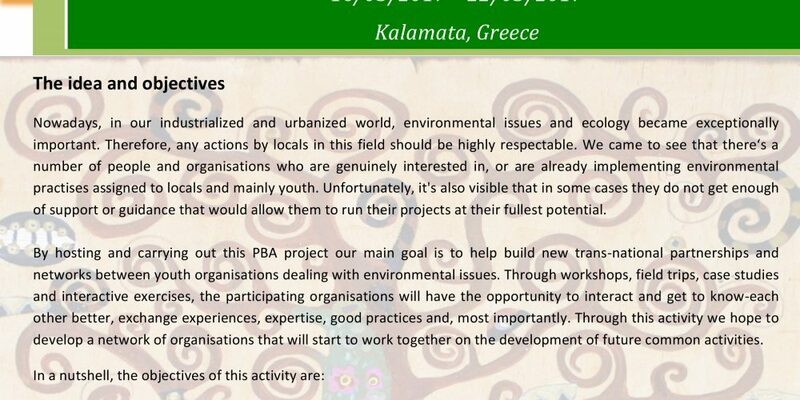 By hosting and carrying out this PBA project our main goal is to help build new trans-national partnerships and networks between youth organisations dealing with environmental issues. Through workshops, field trips, case studies and interactive exercises, the participating organisations will have the opportunity to interact and get to know-each other better, exchange experiences, expertise, good practices and, most importantly. 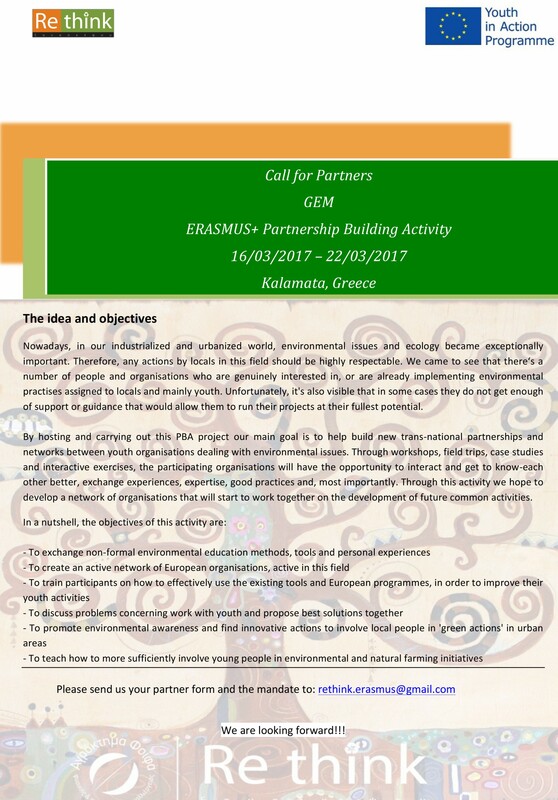 Through this activity we hope to develop a network of organisations that will start to work together on the development of future common activities.